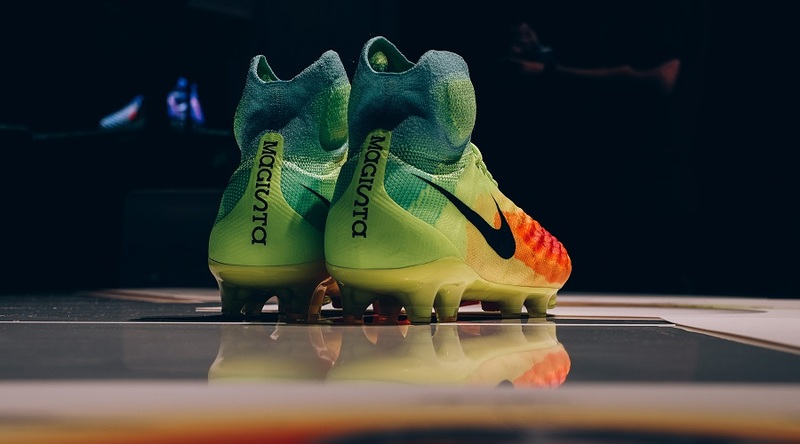 When they were released to market, the original Nike Magista Obra provided players with a completely new type of performance not experienced before. With the introduction of the Magista 2 and the “evolution of touch and traction”, they have continued to push boundaries and taken the intro design to another level. The Magista looks to be the boot that sets the way for other Nike releases, taking on never before seen performance elements that set them apart and make them a leader. From the visual design to the updated collar fit, there is a lot to cover here, and I’m sure you all want to know just how they compare to other boots on the market. Are they best Nike mid-cut collar boot released to date? Yes would be the answer to that; but you’ll need to read below to find out just why. Find the release colorway Nike Magista Obra 2 at soccer.com. Visually, these boots are crazy, and it does take a minute to figure them out. In fact, you kind of need the back story to comprehend why they are designed the way they are. A concern I’ve continually had with Nike mid-cut collar boots is the feel through the Achilles. Nike say they have addressed it on this release, so I’m very interested to see how that plays out in-game. When you take them out of the box, the first thing you will notice is how textured the upper is, with that texture holding a pretty firm stance under your fingers. In other words, it is not very soft. Naturally, that seemed like a legit concern before testing them. Any stiffness in a material usually means less natural feel on the ball, when it matters most. BUT, that absolutely is not the case whatsoever. Once you slip your feet into the boots, the experience is totally different. The inside is decked out with a plush layer of soft material that molds perfectly across your forefoot. You can feel a layer of cushion between this material and the actual outside coating. As you begin to move your foot, the entire structure naturally contours and sways with your motions. Basically, the tipped ridges across the outer coating are a little more rigid, but in between – the basic layer on top of the forefoot – has much more natural flow and a fundamentally sound stretch. Once you get to experience them in person, you will understand this a little more but I want you guys to understand the actual feel to the touch doesn’t manifest itself into the actual feel when performing. With the radical design changes in the boot, I figured it was a better idea to steadily break the boot in. So I didn’t take them out of the box and into a game. Right throughout, I didn’t encounter any comfort issues so in reality I was being a little cautious starting out. In saying that, I’d have no problem stating that this is a boot you can wear in-game from first wear should you need to, pending they fit feels right when you slip them on for the first time. Lets hit on one of the most glaring pieces of the boot right off the bat; the heat map visual design. 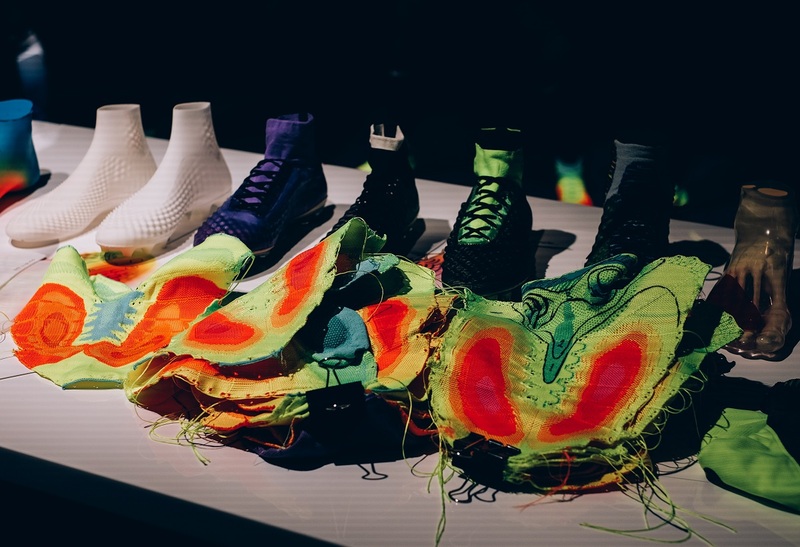 Nike tackled the concept of “sensory amplification through feel.” Basically what that means is they were looking to find the areas of the foot most sensitive to touch and mapped them against high-touch zones. The end result is peaks and troughs along different parts of the upper, depending on how much cushion is needed in that region at key moments. The areas with deeper shades of red are the areas where padding is thickest. This would be through the instep and along the outstep where players tend to look to bend balls to the outside. This makes complete sense and almost follows the logic of the adidas Predator LZ series. It is a similar concept implemented in a different fashion. Let me just skip right to the conclusion of this section; this is the best boot for striking a shot to hit the market since the Nike T90 Laser series was retired; they are seriously that good. You get such a natural level of feel and touch on the ball, with the benefit of an upper material that allows you to really strike behind the ball. The extra definition provides a perfect zone for catching the ball solidly without feeling the full impact. And that same definition allows for improved control on the ball, with the material “wrapping” around the ball as you connect with it. To put it another way, when the ball connects with the upper it seems to push the area around it up around the ball, sort of cupping it. An odd sensation, but these definitely rank as one of my favorite striking boots released in recent times. I’m also a fan of the instep and its design. Since the days of the CTR360 Maestri and Umbro Geometra, I’ve become a firm believer in having an extra element added along the instep that helps you take the ball in out of the air with tight control. The extra definition there allows for more friction and basically helps the ball stick closer to you as you look to control it. And it proves useful as you look to play solid short passes along the ground. 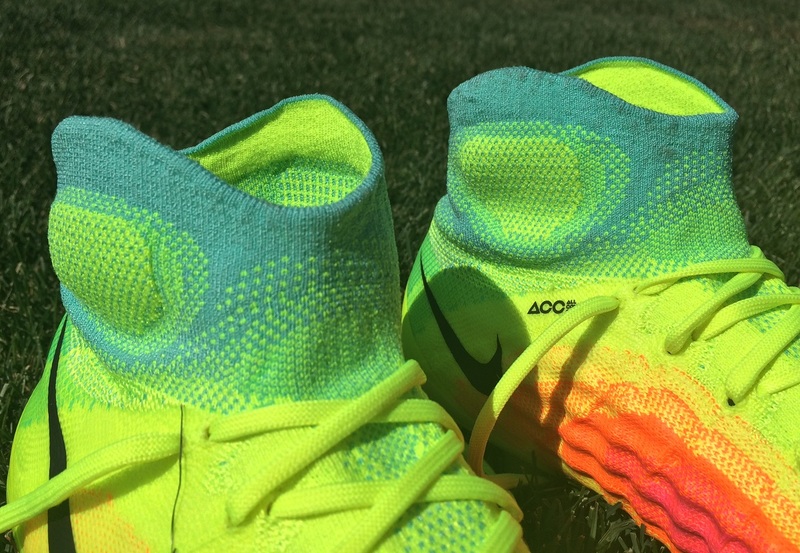 Things on the Magista are very different as Nike look to change the game up. They have gone with a more anatomically contoured Dynamic Fit Collar, designed to accommodate the shape of the ankle bone while leveraging a thicker knit structure for additional coverage. The revamped collar also dips lower on the tendon for comfort. 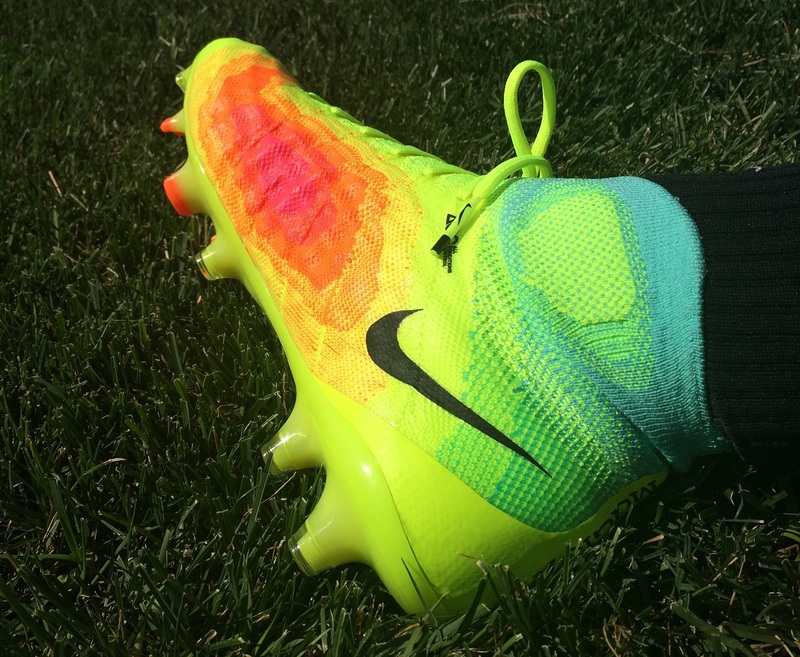 This is something I had major issues with on other Nike collar boots, for example the recent Superfly V release. This time around, no such issues as the lowered collar provides a much more enjoyable feel with less stress on the Achilles as you look to cut and accelerate with your ankle positioned at tight angles. Also modified is the tongue-less design, as Nike placed some additional light padding under the laces for coverage in what is a high contact area. As stated above, these are one of the best boots for striking a ball that I’ve worn in a while. So, although the additional padding is not something I directly noticed in-game, it obviously plays a valid part. When it comes down to it, the all important question is “are these the best mid collar boots ever released by Nike?” The answer is a simple YES. And that has a lot to do with the actual shape and fit of the collar around the ankle and down through the foot. it is just so much more naturally effective. An area where Nike saw major room for improvement with the Magista series is in the soleplate and traction system. The first thing they did was trim down the materials used, making this new version 37% lighter than its predecessor. They then took data from the Nike Research Lab to help them create a new rotational traction system. Rather than individual stud performance, the new design interacts as one system. A mix of half conical studs (traction when accelerating) and Chevron (stable grip in all directions) work in unison to provide stability through dynamic movements. In reality, it plays out real nicely with no issues. When it comes to soleplates, your checklist should be pretty simple; something that you feel secure in, doesn’t cause drag on surfaces and keeps you stable through play. I had the opportunity to wear them on FG and AG, both with positive results. They are obviously best suited to FG, but I’ve no qualms about recommending them for use on newer AG. This is a spacious boot, with a very accommodating fit through the forefoot. 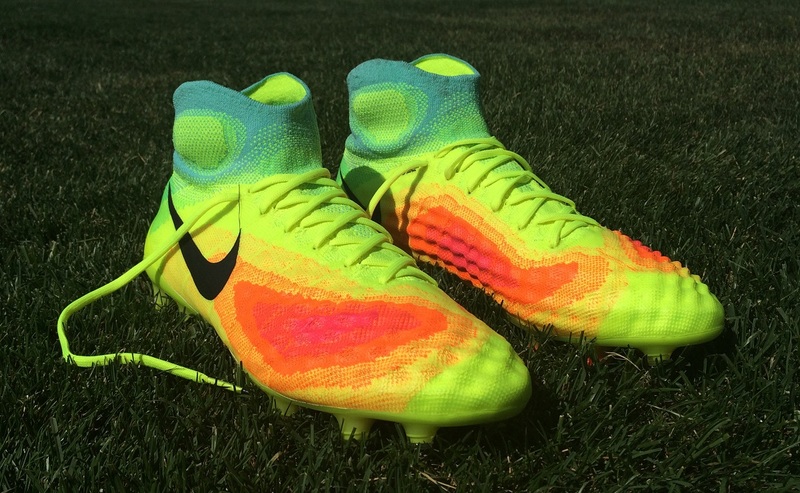 The original Magista was very similar, and it quickly became a fan favorite for players in need of a wider fit. They are definitely the widest through the forefoot of all Nike boots right now. Length wise they are very much true to size. If you have worn the Magista, they are very similar and for adidas players, the PURECONTROL would be the closest boot to compare the fit to. If you have questions about the collar, I’ve included details about that in its own section above! One of the challenges to owning boots like these is that they are not very breathable. In game, that means your foot is a little hotter, and they are very difficult to air-out after play. And you know what that means; smelly boots! I’ve worn many mid-cut collar boots and I’m very particular about taking care of my boots. But, these took on their own unique scent, the type of scent you don’t want to have in anything you wear. Why that is, I’m not too sure but if you own a pair you need to make sure they air dry IMMEDIATELY after every wear. 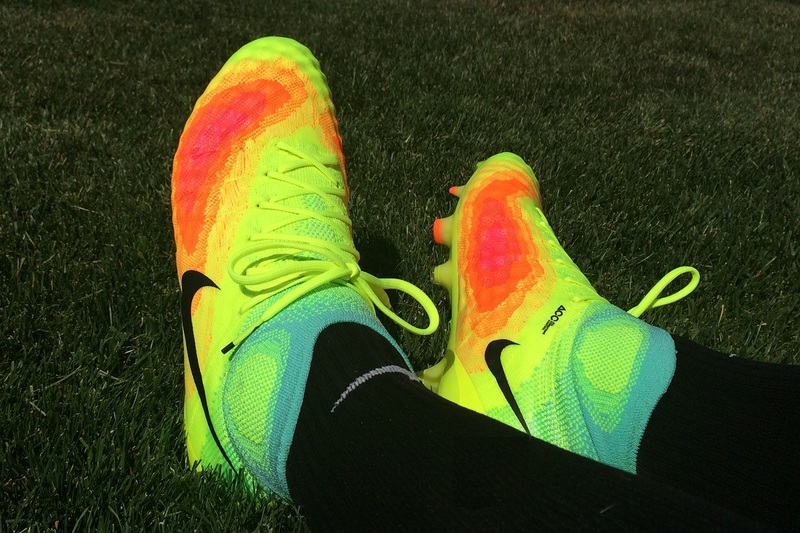 If you need a pair, find all the latest Magista 2 boots at soccer.com. 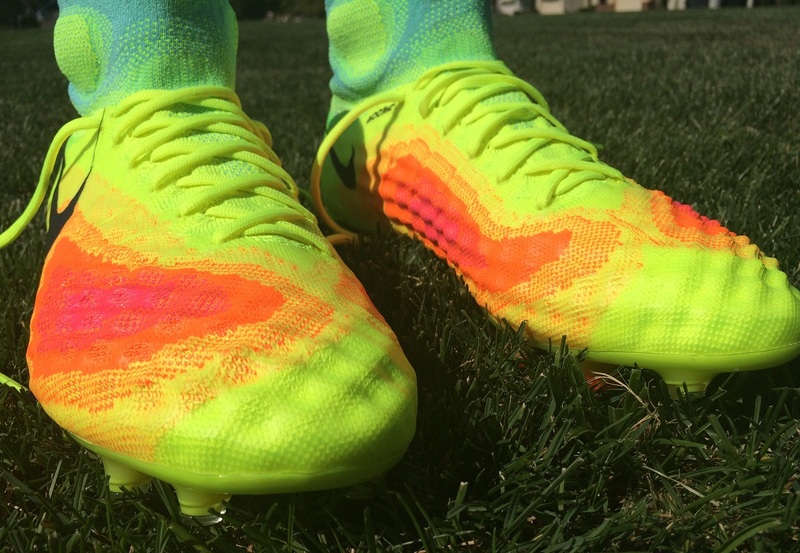 Highlight: An upgraded Magista release with several key features that elevate them to an entirely new level. Mid cut collar fits more effectively, while they are definitely one of the best striking boots released in a while! Category: Designed to be a Control boot, but they definitely have a touch of Power to them. Would I Buy Them: Absolutely. These are one of my favorite Nike boots released in a while. And I’d go as far as saying that I’d purchase them full price if I needed to!! Can’t remember the last time I’ve said that. Player Position: Nike has gone with a strong “playmaker” theme through release. But these are very much a hybrid style boot. The upper is nicely padded, ideal for striking long passes, or generating a little extra power behind shots. Pick your position and you are probably going to feel right at home wearing them! Thank you Bryan. I have a question on the "mesh" type boots. Mostly I buy leather cleats for my son, and have been successful scoring good deals on higher end boots for the last several seasons, so they have been toward higher end stuff. We recently got some Ace 16.1 Etch pack cleats, and while he played a ton in them, he has nearly worn through the toes in 8 weeks (all on real grass, no turf). We have had Nike Premiers, and the first Goloros bite the dust too. We try to stay away from synthetic stuff due to a wider foot, and the stinky component. Any way long question short, as he is starting HS, many away games will be on turf, and I was wondering if the Magista type cleats tend to resist wear any better than leather when it comes to turf usage. The upper does for sure, from experience I've found the knit material has a longer life. Where they might lack durability is in how the upper/soleplate is attached. That would be my only area of concern. Thanks. That is the other area of a boot he is quick to test as well. The good this so far is he has been growing out of cleats, so they were not too worn. Now he has leveled off and is really putting them through the ringer. So the Obra 2 is the most padded of the mid-cut boots from Nike? 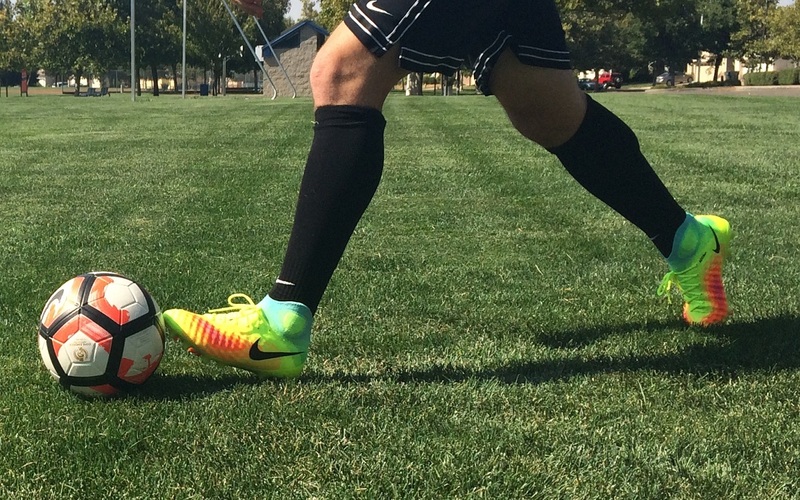 Also, how does the pureagility compare to the hypervenom phantom 2 with the new upper? 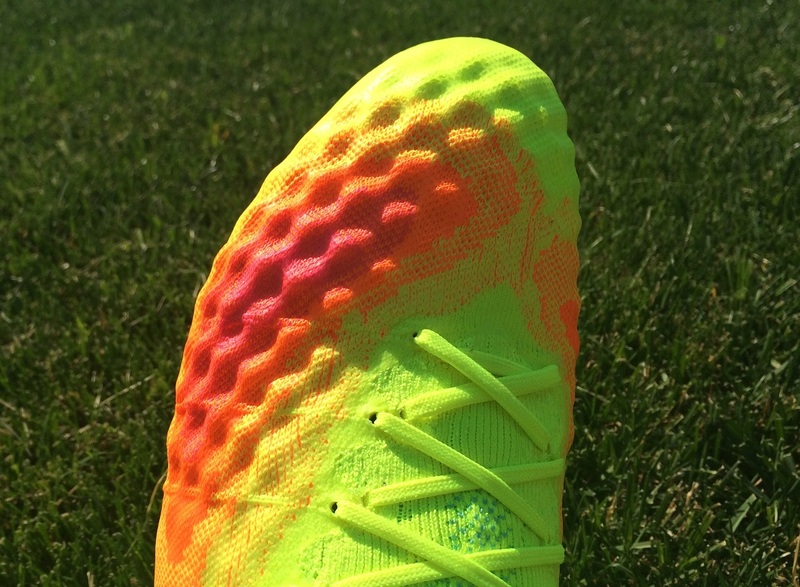 Is the pureagility more padded than the hypervenom 2 with the new upper? There is more definition on the Obra2, so they have a more padded feel. if i have adidas ace 15.1 size 45,1/3, what size would you recommend with these boots? Hi, I have been wearing US9.5 messi 16.3 turf for my leisure indoor turf futsal. Recently I have been invited to play big field soccer (mostly 3g turf) and is currently looking for another footwear. I am currently considering Messi 16.1 and is tempted to try out obra 2 and hypervenom 2 after reading good reviews. Would you recommend going for the same size for both Obra 2 and Hypervenom 2? I’ve been using the Nike Premier boots for a while now, but am looking for a change. I have started playing in an attacking midfield position, and was wondering if these are the best/good boots for that position? Cheers! Definitely a solid option, but price wise you'll obviously be paying a lot more! Hi, is it worth upgrading from the 1st gen obra to this? Asking as the price point is a bit high. Price is high, so it is a stretch. But the new Obra is one of the best boots on the market right now, with the upgrades on the mid cut collar making a huge difference performance wise. I recently picked these up in the launch colorway in my usual size 10.5UK/11US. After two training sessions, I can conclude that they are the best boots I've ever used (been a Tiempo player forever). My only concern so far is that the fit is almost exact to my foot, which is good to a degree, but has caused me some pain in the big toes. Do you think the materials will shape to my foot enough over a relatively short period of time, or should I return for a half size up? Cheers. I'd recommend a half size up, the material doesn't have a great deal of stretch – that would be the only downside to the slightly stiffer outer shell, as opposed to a natural leather. Always better to be cautious and avoid discomfort, especially considering how much you are paying for them! 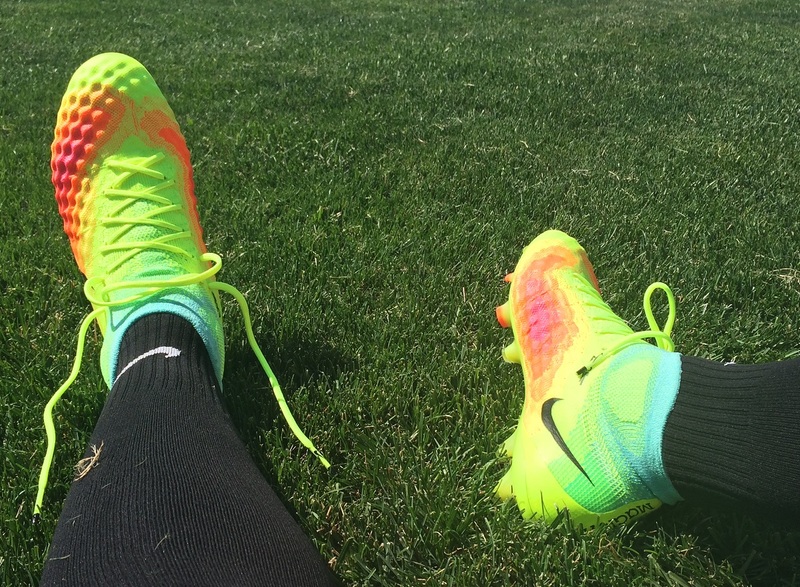 How does the fit compare to the magista opus 1? I have a 9 1/2 in that shoe, should I get the same size in the magista obra 2? Is the touch for these similar to the Nike hypervenom 3? I have the adidas x 15.1 and new balance visaro pro and do the magista obra 2 compare to any of these in how they’re padded or feel on the ball? 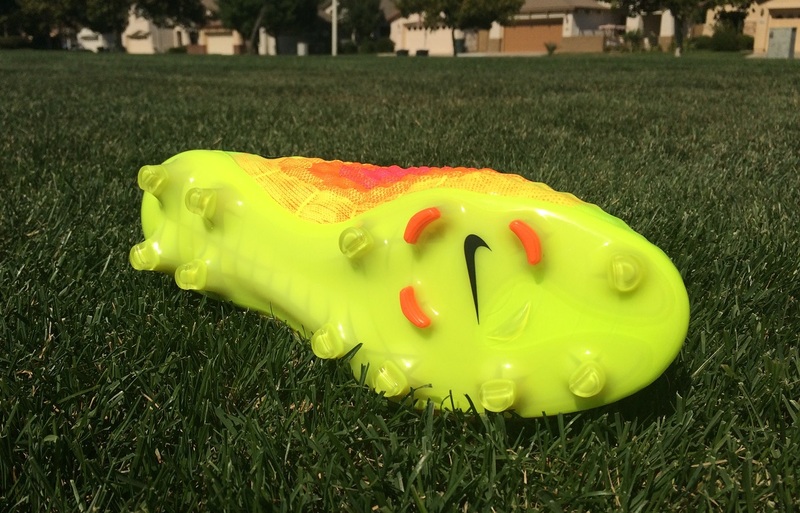 Can you feel the ball more in the magista obra 2 compared to the models I just listed? Thanks so much and great reviews!